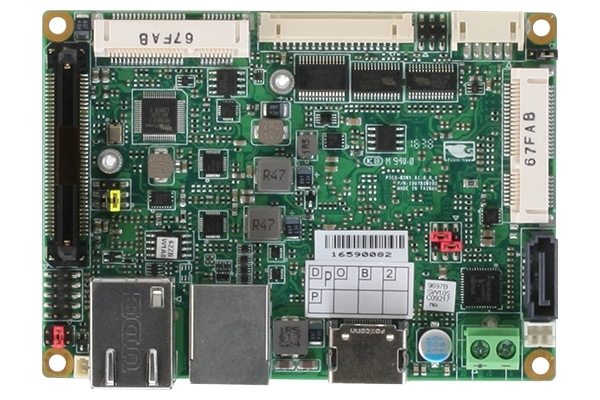 The PCM-3343 is a fanless, cost-effective, small size (96 x 90mm) PC/104 SBC (Single Board Computer) geared to satisfy the needs for various industrial computing equipment. 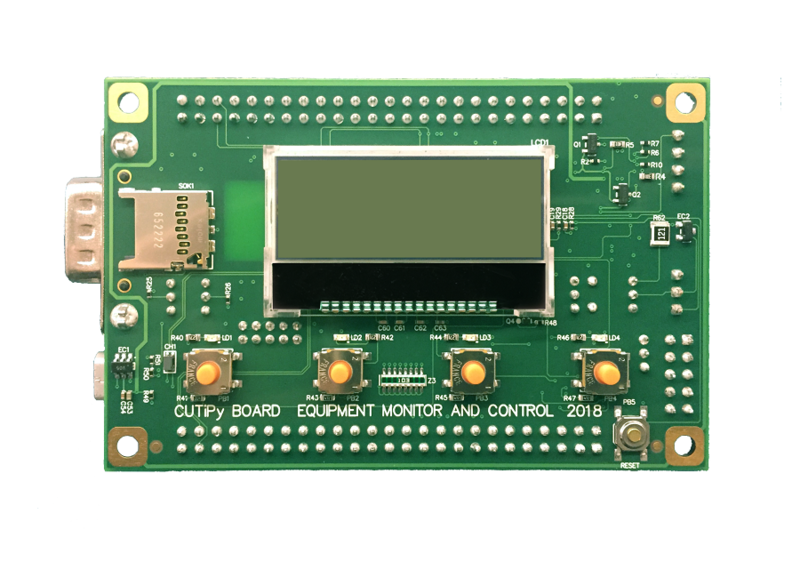 PCM-3343 is ideal for data-acquisition, environment monitoring systems, Intelligent Vehicle management, factory automation, and medical applications that require basic X86 computing power for various low-power, and cost-effective embedded applications. PCM-3343 is designed with Vortex86DX System-On-Chip. 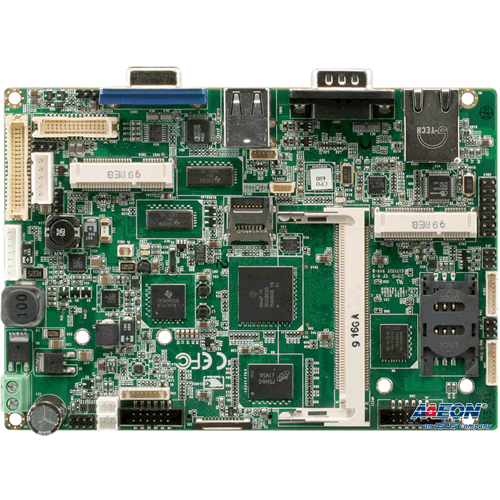 The Vortex86DX is a high performance and fully static 32-bit X86 processor with the compatibility of Windows based, Linux and most popular 32-bit RTOS. It also integrates floating-point Unit, 32KB write through 4-way L1 cache, 4-way 256KB L2 cache, PCI rev. 2.1 32-bit bus interface at 33 MHz, DDR2, ROM controller, IPC (Internal Peripheral Controllers with DMA and interrupt timer/counter included), Fast Ethernet, FIFO UART, USB2.0 Host and IDE controller within a single 581-pin BGA package to form a system-on-achip (SOC). PCM-3343 offers convenient connector layout, easy assembly with right angle connectors, and multiple I/O including dual 10/100Mbps Ethernet, four USB (Universal Serial Bus) 2.0, VGA port, 24-bit LVDS and TTL outputs, four RS-232 serial ports (one of them can be configured to RS-422/485 serial port,) I2C connector, 16-bit GPIO, and one PC/104 expansion slot. PCM-3343 supports DDR2 333 SRAM 256MB on board to endure high vibration environments.